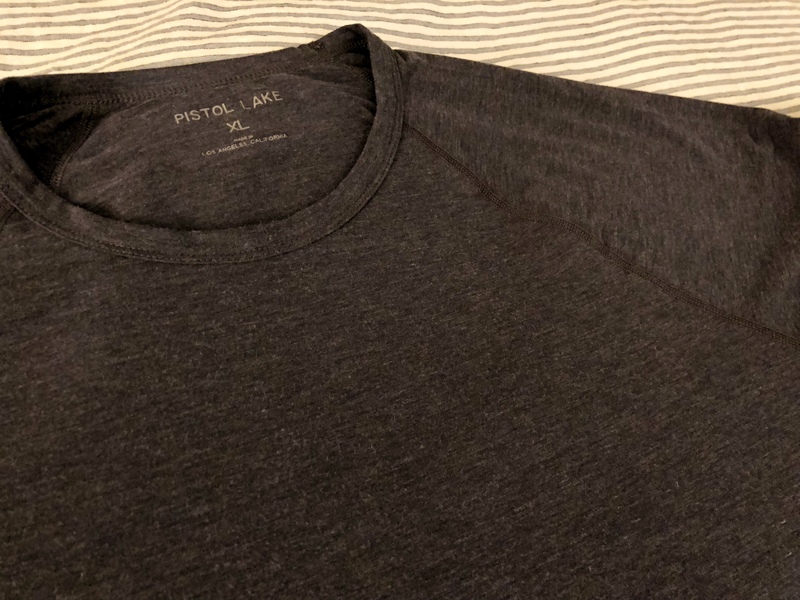 The Minimalist Performance Raglan from Pistol Lake is the long sleeve (raglan) version of their core product, the Minimalist Performance Tee. Both are made out of their unique Lightweight Eudae fabric (76% polyester, 19% Tencel, and 5% spandex). covered in detail on our review of the tee. This shirt is the best fitting long sleeve I’ve come across. It’s cut long enough and has an athletic (but not too slim) cut. The raglan sleeves get rid of the shoulder seams, this can make a difference if you’re carrying a backpack. The shirt also has a nice wide neck hole, which makes it even more comfortable than the tee. Even with the large opening, the neck never looks stretched out or puckered, like I’ve experienced with other shirts with this cut. The only finish issue I found was a slight pucker where the tag is sewn in on the side seam. The Pistol Lake team is aware of this and will make a slight pattern adjustment for their next run to fix the pucker. The Minimalist Performance Raglan has become my favorite long sleeve tee to throw on after work. If I wore long sleeves for exercise, this would also be my top choice.